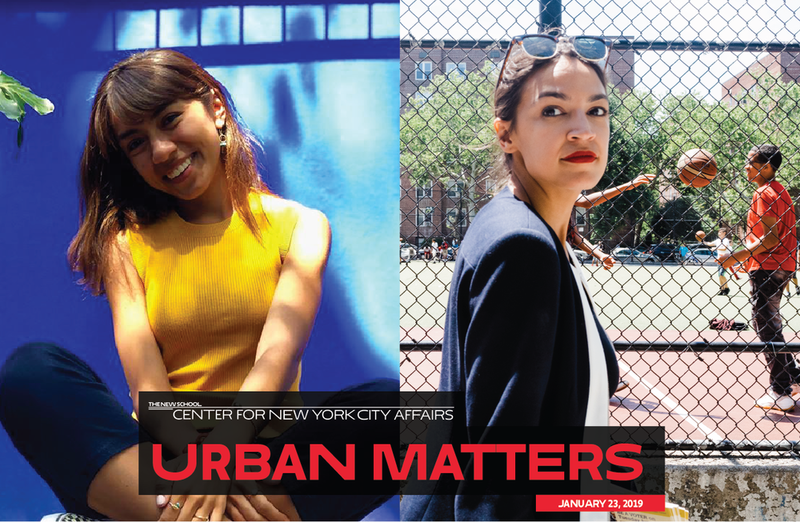 The Center for New York City Affairs has a long tradition of covering the day's most important political events at the city, state, and national level. 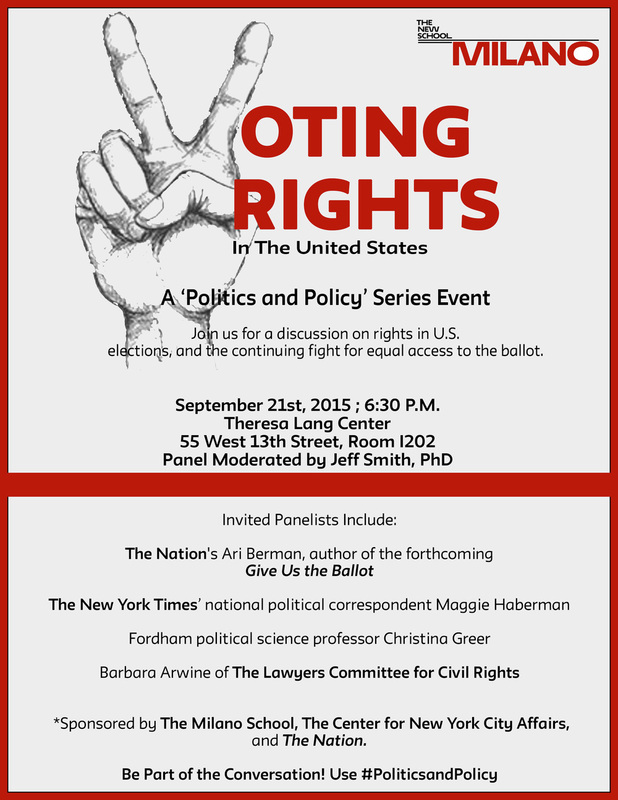 This year, join our Politics and Policy Series, a thought-provoking and stimulating series of events featuring the hands-on experience and intellects of both American and Global politics experts in order to dissect the 2016 U.S. Presidential Elections, while also providing an international perspective. Check out our previous events featuring Democratic candidates Hillary Clinton, Martin O'Malley, top political strategists, and campaign organizers. Despite Donald Trump's unpopularity with New York State voters—71% hold unfavorable views of him, more than any other candidate—it helps to remember that he is the product of New York City and its political culture. His career tells us a lot about changes in a supposedly liberal city and state—especially when it comes to media manipulation, the politics of resentment, and the blurring of public and private interests. The Politics and Policy Series is a thought-provoking, stimulating series of courses and events. The series combines in-class lectures and assignments with the hands-on experience and intellects of both American and Global politics experts in order to dissect the 2016 U.S. Presidential Elections, while also providing an international perspective. On this particular occasion, the “distinguished political leader” was none other than Democratic presidential frontrunner Hillary Rodham Clinton. Taking the stage to a boisterous standing ovation inside The New School’s historic auditorium Monday, the former senator and secretary of state detailed her fiscal agenda in the first major policy speech of her presidential campaign. No, Bill de Blasio hasn't announced his candidacy for president...yet. But the same type of grassroots politics that gave Mayor de Blasio his start and propelled him to the mayoralty helped turn a little-known, freshman senator from Chicago's South Side into the President of the United States. Learn how from Mitch Stewart, who, as Obama's 2008 Iowa caucus director and 2012 battleground states director, helped oversee the campaign's field operations in its most critical contests. .
Is tension is inevitable between Albany and NYC or it is just that there's a new mayoral administration and an election-year governor, and press and politicos are shining the spotlight in search of every conflict. As Mayor de Blasio seeks to fulfill campaign promises and pursue the agenda that got him elected, a popular Governor Cuomo has his own program to fulfill. How can city government overcome the divide that has made New York a tale of two cities? Public Advocate Bill de Blasio discusses his vision for addressing the pervasive issues of social inequality and economic disparity, and proposes policy innovations in economic development for the future of the city. Remarks by Public Advocate Bill de Blasio followed by a discussion with Andrew White, director, Center for NYC Affairs.